Are you in the market for a new mattress? 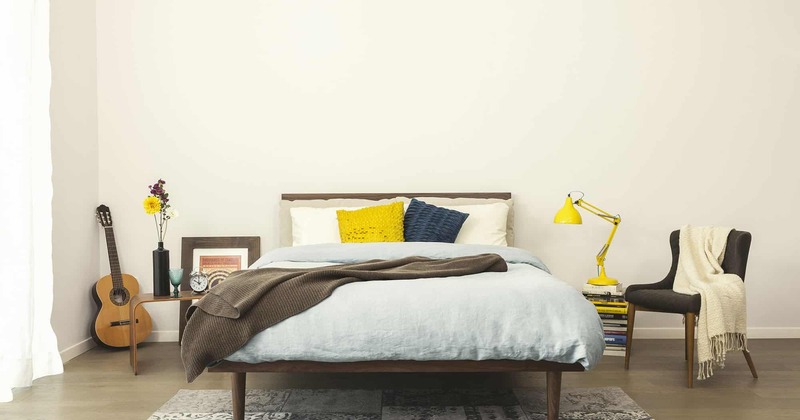 If you’re someone who has slept on a traditional mattress for years, you might be looking to upgrade your mattress into something a bit fancier. It’s always been hard to find a decent mattress for a decent price – many foam mattresses can cost a lot of money. If you’re someone who has been thinking of purchasing a foam or hybrid mattress, you’ve probably considered purchasing a Tempurpedic mattress in the past. This brand is synonymous with high-end, luxury mattresses – it also happens to be the most well-known foam mattress on the market. But Tempurpedic mattresses are extremely expensive. With the advances made in e-commerce, there are now different companies entering the mattress market. Their aim has been to provide people with affordable foam mattresses. It’s a great way to purchase a non-traditional mattress for an affordable price. Even better, there are hundreds of different mattress providers available online. This makes the industry extremely competitive – you’ll find a range of additional benefits that will make purchasing a mattress even more attractive than you might first think. In this article, we’re going to take a look at one of these new mattress providers in particular. Nolah Mattress is a new company that provides their customers with a signature foam mattress. The company has only been around for a few years, but their mattresses have proven to be extremely popular with their customer base. The company also has a firm commitment to social movements – you might find their social impact work impressive. This review is meant to equip you with the tools you need to decide if the Nolah Mattress is the right mattress for you. Make sure to read all the information in this review before you make any hard decisions. Should I Buy the Nolah Mattress? The most important part of a mattress is the way that it’s constructed. If you want to purchase a comfortable mattress, it’s best to have an understanding of how it’s built. With a range of different materials available to use in mattresses, some of the modern designs can get quite complicated. In this portion of the article, we’ll provide a breakdown of how the Nolah Mattress is built. 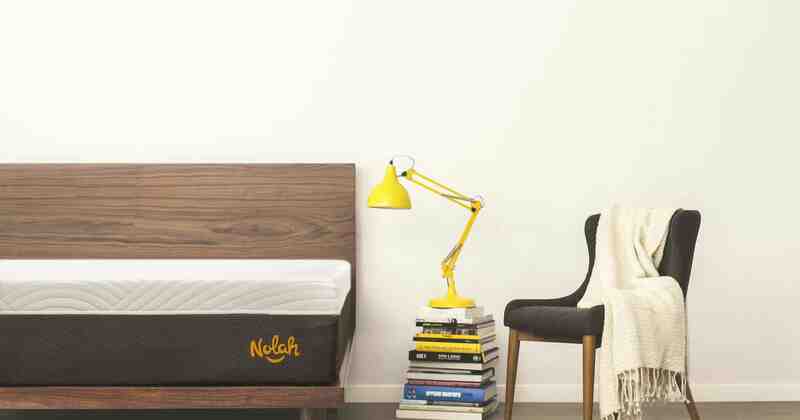 Like many foam and hybrid mattresses, the Nolah Mattress is made using a multi-layer system. This allows the manufacturer to utilize a range of different materials. If you’re looking to purchase a mattress that has a bit of variety, the Nolah Mattress is the right one for you. Below we will explore all three layers in more detail to provide you with an overview of what’s on offer through Nolah Mattress. The top layer is in place to provide you with as much comfort as possible. This mattress is made with 2” of Nolah AirFoam – this material is like memory foam without the heat retention. It’s a great option for those who need something a bit cooler. This will provide you with all the comfort you need. The middle layer of the mattress provides a transitional support layer for the rest of the mattress. You’ll find both comfort and support in this layer. It is made from 1” of foam Latex, which also provides plenty of resistance and bounce – a nice complement to the top layer of Nolah AirFoam. The bottom layer of the mattress is the support layer. It also happens to be thicker than all the other layers combined. You’ll find this mattress has 7” of high-density poly-foam. It ensures that there is plenty of support for the rest of the mattress. Without this layer, you’d fall through the entire mattress when you lay down. You should never underestimate the power of the cover – you don’t want to purchase a mattress that uses a cover that’s unsuitable. This is especially true if you’re looking to purchase a mattress that doesn’t retain heat. If this is the case, you’re in luck with the Nolah Mattress cover. The Nolah Mattress cover is made from a combination of polyester and viscose – this is an alternative to cotton that breathes much better. The cover of the mattress protects the mattress while ensuring there’s not too much interference. You can know everything there is to know about a mattress, but at the end of the day, the most important thing is the way the mattress feels. If you are going to purchase a new mattress, you’re probably looking to upgrade from your old model. If this is the case, you’ll need a mattress that is as comfortable and supportive as possible. This section of our review is focused on the firmness and feel of the mattress. The Nolah Mattress is extremely comfortable. In fact, the best part about this mattress is how soft it feels. Their Nolah AirFoam is one of the nicest mattress materials you can purchase – it has all the comfort of memory foam, without the heat retention. You’ll find that for a foam mattress, the Nolah Mattress breathes extremely well – making it an awesome choice for those who overheat. In terms of firmness, we rate the mattress at around a 5.5/10. This means that it is one of the softer mattresses on the market. This is great for those who prefer comfort over support. If you’re someone who weighs over 220 lbs., you’ll probably find it very hard to sleep on this mattress comfortably. As mentioned earlier in this post, Nolah is a relatively new entrant to the mattress game. They haven’t had time to change anything significantly – their primary mattress has been the same since the inception of the company. This being said, they did bring out a deluxe mattress that is thicker and comes at a higher price – though it is not discussed in this review. Make sure to check back here for any updates that might occur with the Nolah mattress. Sinkage is another important issue for those looking to purchase a new mattress. This is especially true for those who have a lot of weight concentrated in a particular area. So, we used a few different weights to demonstrate what concentrated weight would do to the mattress. The five lbs. weight provided 1” of sinkage, while the ten lbs. weight provided 2” of sinkage. The 100 lbs. provided a total of 6” of sinkage. As you can see, there is quite a bit of sinkage in this mattress. Purchasing a brand-new mattress is an extremely tough decision. If you’re trying to find the best mattress for you, there’s a high chance you’ve narrowed it down to a few different mattresses. With thousands of mattresses to choose from, it’s important to look outside of the mattress to see what other features are included in the mattress that you decide to purchase. In this section of our article, we take a deeper look at all the different benefits that come with purchasing a Nolah mattress. The mattress industry is extremely competitive, so many mattress providers go to great lengths to add value to their current offerings. If you’re someone who wants more from your mattress, Nolah has a few different things to offer. Make sure that you also compare these benefits against other mattresses you’re considering. You don’t want to underestimate their importance. A mattress is an investment you should be making for the long-term – you don’t want to spend hundreds of dollars on furniture that will only last a few years. One of the best ways to protect your investment is to ensure that you have a decent warranty on your mattress. Not having a good warranty will mean that you’re at risk for making a large purchase if a mattress has a problem with it. At Nolah, you receive a 15-year warranty on your mattress, which helps ensure that you don’t have to spend a lot money if your mattress breaks. For the first 15 years of your ownership, you’ll be able to get a replacement mattress if there’s an issue with your Nolah mattress. This is a great warranty – many industry mattress manufacturers only offer 5-10 years of warranty. If you would like to purchase a mattress through Nolah, you might be worried about the cost of shipping. Many people believe they’re best to purchase a mattress from a store so they can cut down on shipping and delivery costs. Sending a mattress across the country can be extremely expensive. But what many new e-commerce mattress providers have been perfecting is shipping mattresses for a decent price. At Nolah, the price of shipping your mattress is included in the cost of the mattress – you won’t pay a penny to have it delivered to your house. This means that the price you see is the price you pay – you won’t have to add anything to the cost of your mattress. Purchasing a mattress online can be hard decision because you can’t try the mattress out first. This is especially true if you’re trying to purchase a mattress that doesn’t have a showroom. With Nolah, you get a 120-night trial to help you ensure you enjoy the mattress. If you don’t like the mattress within these 120 days, you’ll be able to return it completely free of charge. This is much better than some industry competitors – many of whom only offer 30-day trials. Nolah’s trial period means you get around four months to try out their mattresses! One of the most unique benefits on offer through Nolah is their wildlife protection program. Whenever you purchase a mattress from Nolah, the company will adopt an animal from wildlife organization ‘Defenders of Wildlife.’ The animal will be adopted in your name and you will receive a certificate from the organization – this comes separately. Nolah has made it their mission to contribute to wildlife programs and environmental organizations. If you’re someone who has similar interests or sentiments, it can be a great idea to purchase a mattress through Nolah. While many mattress companies have little regard for their environment or other social causes, Nolah has plenty to offer in this department! Even though Nolah Mattress is quite affordable, it can still be a large expense if you have to pay the whole thing at once. Fortunately, Nolah teams up with Klarna to provide their clients with low-cost financing. In many cases, you can receive 0% APR financing on your Nolah Mattress. If you’re someone who wants to spread out the cost of your mattress, this is a decent option. Last, but not least, Nolah Mattress is manufactured right here in the United States. Many large mattress companies manufacture their products outside of the states, so you might want to work with Nolah if you’re looking for a company that supports local industries. If you’re trying to decide to purchase a new mattress, the first thing you need to assess if your budget. If you’re someone who can afford to pay for a Nolah Mattress, it’s hard to think of a much better option. You’ll receive a breathable and comfortable mattress that also has a range of other benefits and features. You’ll also help preserve wildlife and the environment with every mattress you purchase. This being said, if you’re someone who is a bit heavier, this mattress probably doesn’t have the support you need. If you think you need something a bit more supportive, make sure to check out some of the other mattress reviews posted on our site. We are one of the top mattress resources on the internet.